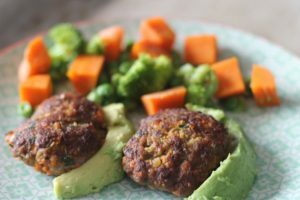 If you’re making wholefood lunchboxes daily here are some tips and inspiration to ensure you pack tasty goodness in minimal time (and fuss). Plan ahead – I work around protein as my main plan. Once I know what I’m doing there filling up a lunchbox with vegetables, a bit of fruit and a nice savory or sweet bake is so easy. Find a time to prepare lunchbox meals, whether it’s on the weekend, after drop off, mid-morning or whatever suits you and stick to a routine so it becomes second nature. 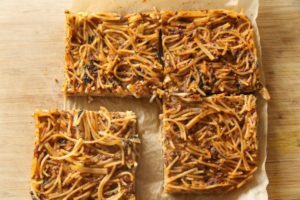 Batch cooking is the biggest time saver. Whatever you’re making for dinner make an extra portion. Such as meatballs, chicken nuggets, pancakes that kind of thing. Reinvent leftovers – if you’re having Spaghetti Bolognese for dinner turn leftovers into a bake for lunchboxes. You’ll need eggs and an extra 5 minutes and you’re covered for a week. Build up a freezer stash of goodies so your kids have plenty of variety. The recipes below will really help. Bento style lunchboxes are so popular as you can put a great variety of different foods in without them all getting mixed up. Top with a glass or stainless steel water bottle and you’re good to go. 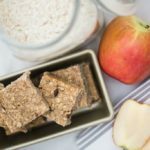 These fast, fun and delicious allergy-friendly lunchbox recipes will avoid food envy amongst peers and get your children eating a massive dose of nutrients (often without them having a clue)! 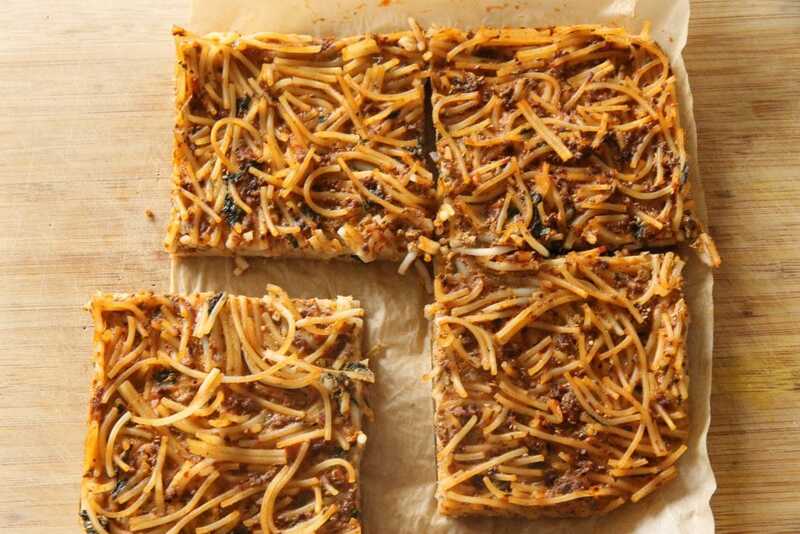 1) Spaghetti Bolognese squares Use your leftover spaghetti bolognaise to make these delicious squares for an easy to eat lunch box treat. 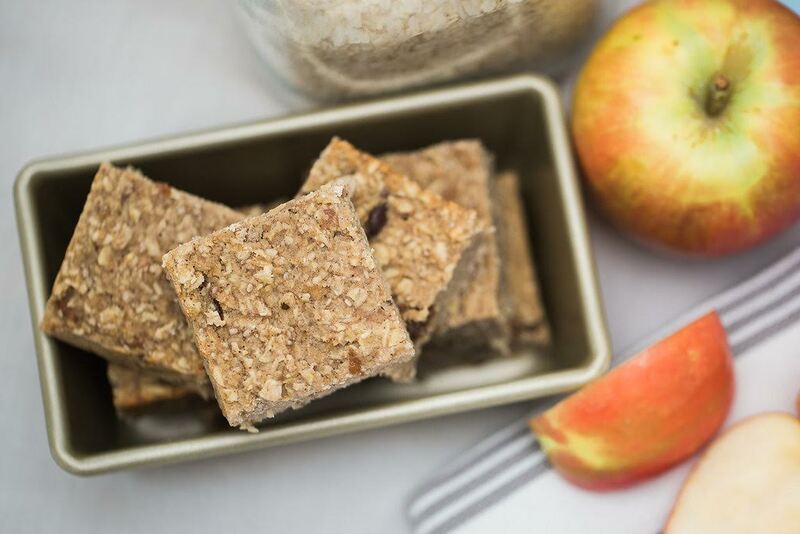 2) Nut free muesli bar This allergy-friendly snack is perfect for kids lunchboxes and mamas on the go. There is no baking involved so you’re done in 5 minutes flat. Enjoy! 3) Simply delicious mini burgers Use this mince recipe in a number of different ways – make amazing burger patties for adults and mini burgers for kids. 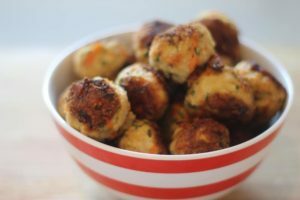 Reshape them and turn them into koftas or kebabs, or meatballs in tomato passata sauce, or use as a filling to make sausage rolls. 4) Allergy-friendly banana bread (or cupcakes) Avoid FOMO (fear of missing out) with this gorgeous naturally sweet bread which can easily turn into cupcakes to really show off! 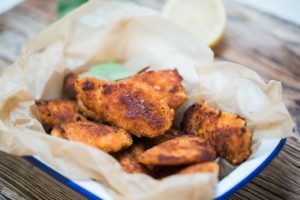 5) Chicken nuggets Believe it or not, these are gorgeous cold in lunchboxes. 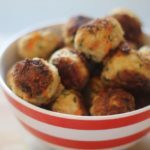 Make a large batch for dinner and use leftovers to satisfy your kids at school with zero extra effort. 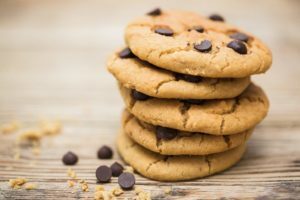 6) Chocolate chip chickpea cookies These won’t ever get the chance to store in your fridge or freezer. They’ll be inhaled within a couple of days. But because they are so quick to make its worth the effort and the delight on your child’s face will be priceless! Love these. 7) Three ingredient fish cakes If you want your kids to enjoy fish on a regular basis and prep it on the fly in a last minute emergency, then don’t look past this simple recipe. 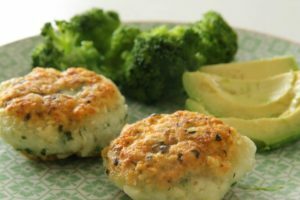 Not only is it quick, it just needs three ingredients! 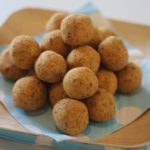 8) Nut free carrot cake bliss balls Bliss balls are such an easy and versatile treat to have stored in your freezer. 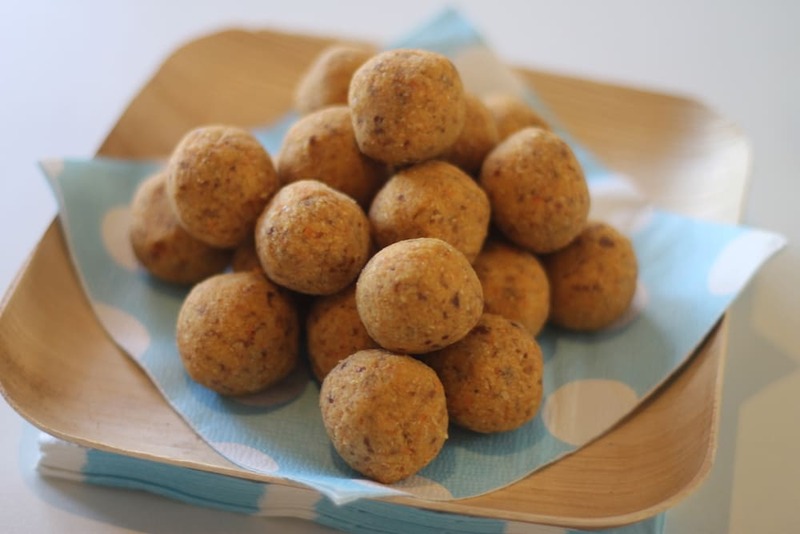 With the beautiful and familiar flavours of carrot cake, these are a hit, plus the addition of carrots makes them more nutritious than your average recipe. 9) Very Moorish Chicken Balls A massive crowd pleaser the whole family will love. Make a big batch for dinner and store leftovers in the freezer for a quick protein filler for the week. 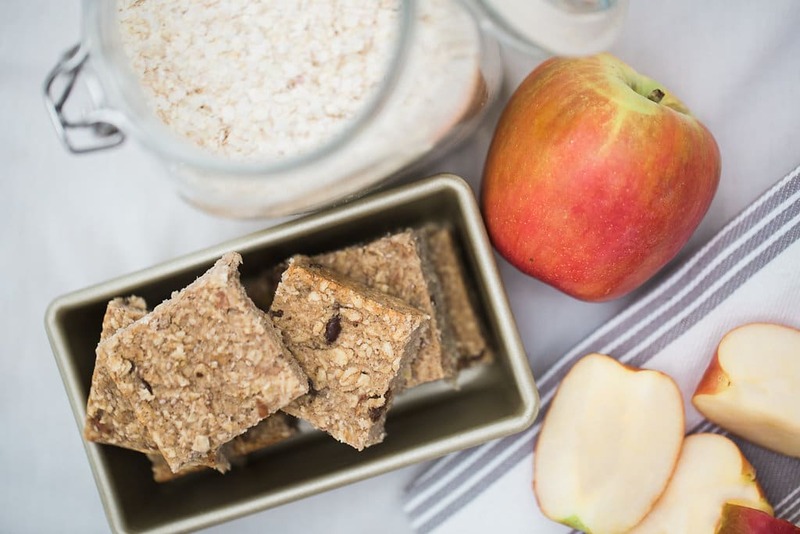 10) Apple & Cinnamon Oat Bites These bites are packed with oats, fruit, healthy fats and protein and unlike most cereal bars, there isn’t a major sugar rush (and crash) as its all refined sugar-free. 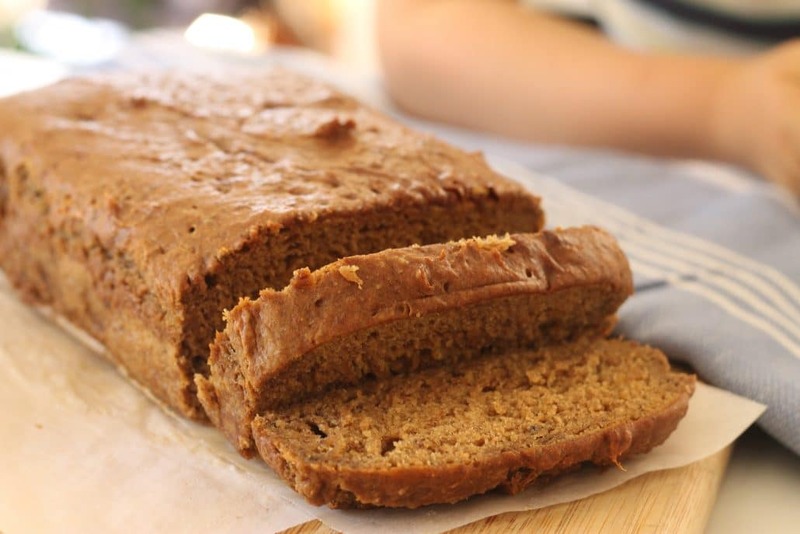 Perfect for breakfast and school lunchboxes. 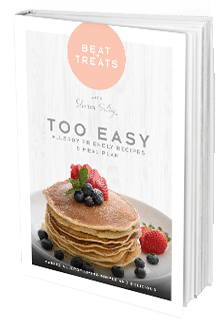 Share the post "Top 10 School Lunchbox Recipes"
Having overcome numerous health issues through food, Sharon Selby became a certified integrative nutrition health coach, working with women locally and overseas to achieve their own health transformation. 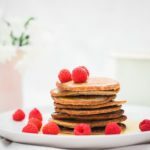 Sharon develops recipes for publications, writes articles on healthy living, and hosts cooking classes, workshops and retreats. Sharon also speaks at events and leads corporate wellness sessions with conscious minded companies. Sharon is so inspiring and informative – her talk was exactly what my team and I had hoped for. We identified numerous ways to incorporate healthy habits into our busy lives. It definitely gave us a lot of ‘food for thought’ and practical tips that we could use straight away. We are now all better equipped and inspired to improve our health, our habits and ultimately our productivity at work. 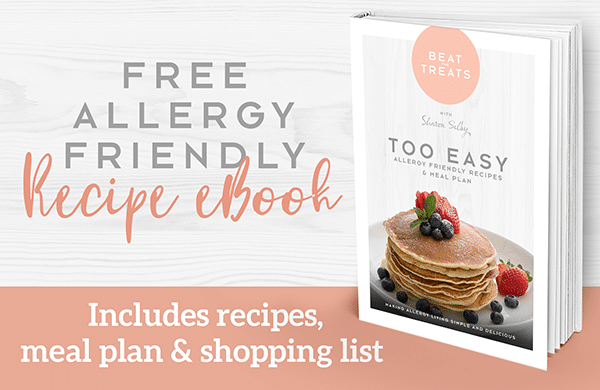 I love that Beat The Treats has so many delicious recipes that are quick and easy to follow. With a passion for wholefood living and four growing kids to feed, I’m always looking for new inspiration and ideas. 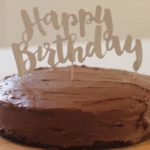 This blog is definitely one of my favourites.